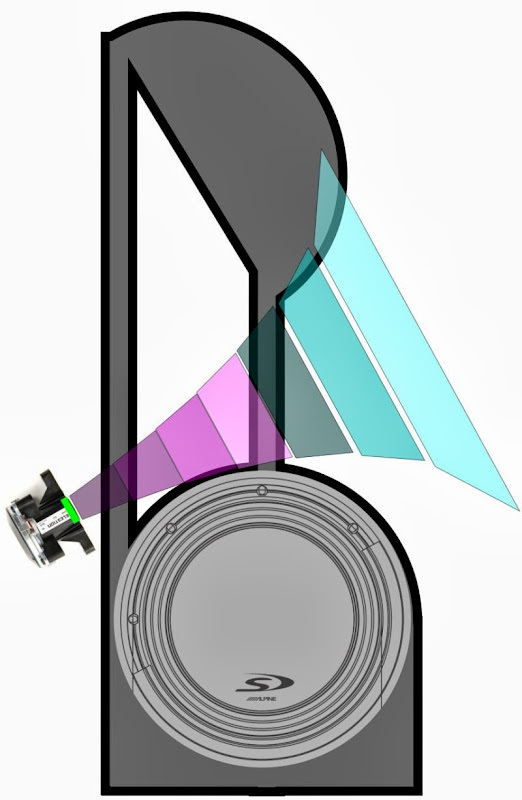 Why is it you want to build a horn with the HF dispersion limited to only about 15 degrees, then transitioning to omni ? Because a pile of sims that I did seem to indicate that "in real life" the directivity is broadened. IE, if you have two horns, one with a big roundover, and one without, the horn with the roundover will have wider directivity. 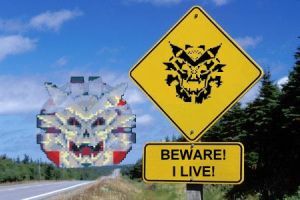 And this isn't just at low frequencies; it appears that it broadens it at high frequencies. The easiest way to determine if this hypothesis is true would be to look at polar plots of LeCleach or spherical horns. In both those horn types, the first half of the horn is about 25 degrees wide. Unfortunately, that data is hard to come by. John Sheerin published a single plot on his site. Besides that, a lot of the polar plots on LeCleach seem to be sims, not 'real' measurements. So I'll find out the hard way, by building and measuring! Plus, I've built nothing but waveguides for years, and it might be fun to try a horn for once. In all the "real life" measurements I have seen, the HF follows the initial throat angle, unless the throat is pinched below a wavelength wide and then diffracted, generally avoided for Hi-Fi use. A large roundover will reduce diffraction effects, but won't change the HF dispersion. By increasing the mouth dimension, it may provide pattern control to a lower frequency. Take a look at the E-JMLC-1000 ( the first one I happened to find), goes from a -6 beamwidth of around 20 degrees vertical at 10,000 Hz to 80 degrees at 2000 Hz. At 20 kHz, you tell me, 8 degrees? Even horizontally, looks like about 30 degrees at 16 kHz, 40 at 10 kHz. Last edited by weltersys; 24th October 2013 at 05:50 PM. Initially I was going to 'approximate' the shape of a LeCleach curve, by combining a conical horn with a humongous roundover. Cosmetically, it looked like crap. I don't have a table saw, and trying to do the angles for a conical horn with a bandsaw didn't work out so hot. I'm using seventeen 1" layers of foamular. The height and width of the horn follow the golden ratio. If you look at the mold, it has stair steps like a flower pot in a Devo video. I had to use a rasp, a file, and some sandpaper to make it match the curve we see in Hornresp. 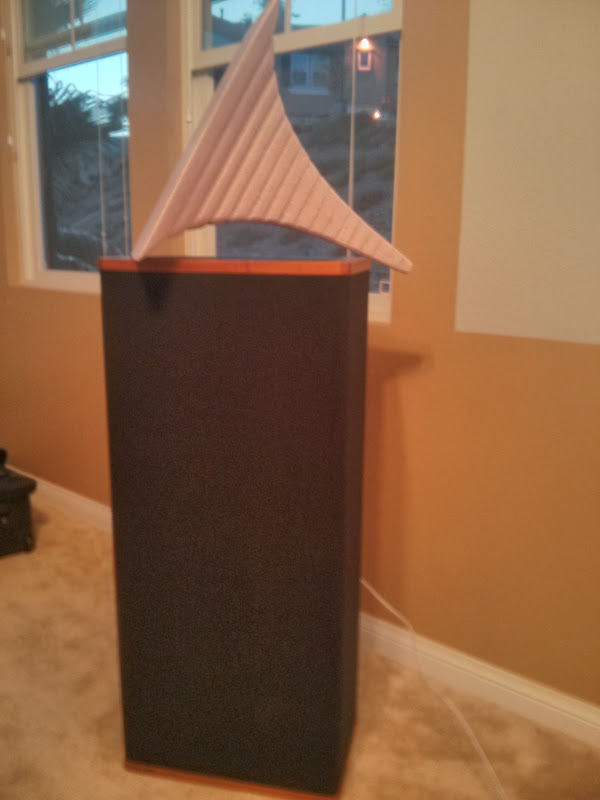 Here's a pic showing the size of the horn in comparison to my Vandersteen 2Cs. 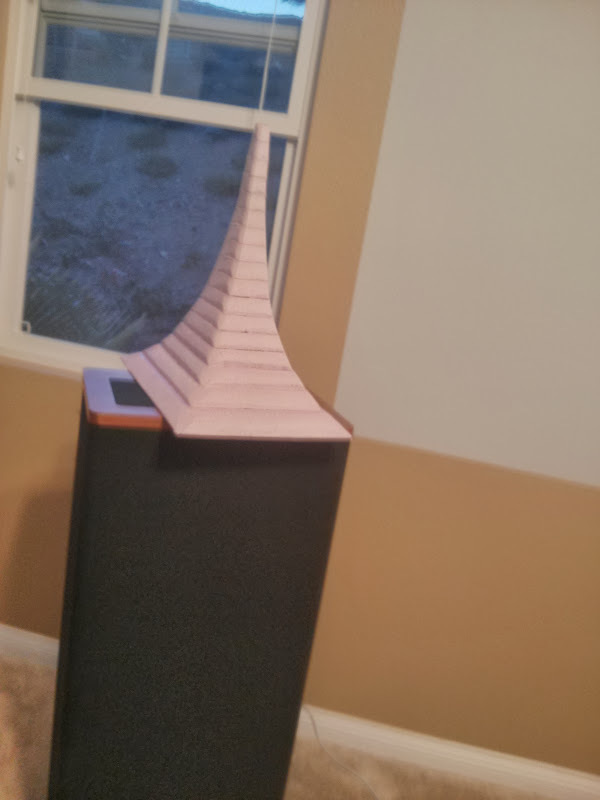 I plan on orienting the horn vertically, similar to what JBL does with their Synthesis 1400 array. I would shoot for 4 drivers and arrange them like this on the horn. Ah, how beautifully the orchestra sounds before a rain! In a dry sunny day there is no way for the instruments to sound this way! I would be very tempted to approximate the LeCleach horn using conical sections. Maybe something more like this? Would this make it easier to build? Much easier to build, but the HF dispersion is still going to be determined by the initial throat angles to around one wavelength of the throat width. Each horn "break" also causes some diffraction, though sanding the transitions takes care of most of that problem, leaving you with a beamy horn . A search for user jzagaja and JMLC might show some good info... He's the one from the Polish made horns, among others they run a few JMLC profiles . Usually he provides some (real) measurements.